As we enter the month of December, we know that Christmas is near! This year has been really exciting and blessed for us -- our second daughter, Eliana, was born in August! 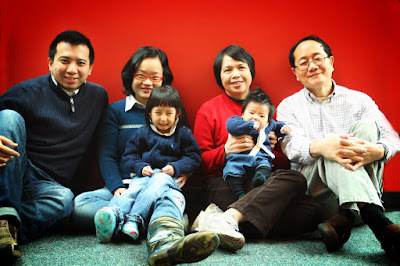 In the past 4 months, we have been adjusting to our new roles and developing new family dynamics. Thanks to our beloved parents who have helped a great deal physically and emotionally throughout these months. 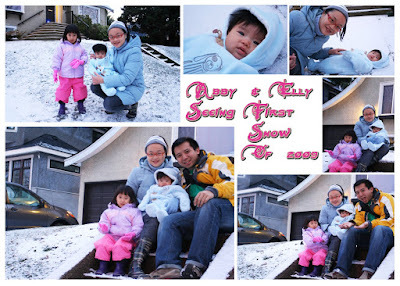 We shall continue to work hard to be good parents of Abby and Elly. 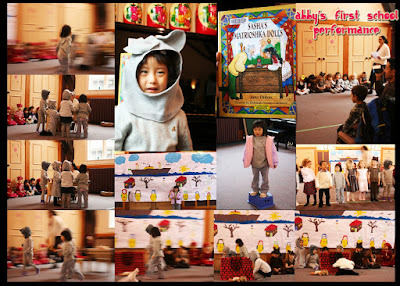 Elly is a contented and cheerful little girl, and has brought us lots of joy and heartwarming moments. She seems to be a sociable kind of girl like her big sister, who loves to coo and smile back to others! Whenever she has company and attention, she can be very satisfied and happy. We all love her more and more day by day! Abby has been a great big sister to Elly! She loves to talk to her, entertain her when Elly seems bored, and comfort her when Elly cries. Abby herself has reached a lot of milestones in the past year and has been speaking much more clearly. As she started going to preschool in September, her comprehension of English has been coming along well! We are so amazed at the fact that she is such a big girl now. Philip has almost finished the first term of his second year at Regent College. During this past year, he has gone through a period of searching for God's will in his future vocation, which is extremely important in this journey with God. With prayers and signs from God, he decided to switch from MDiv to MCS program, which means we shall be staying for 1.5 years more in Vancouver, instead of 2.5 years more. It was revealed to him that children ministry would be something that he will spend much of his time to engage in. We thank God for this transformational process in helping us to know His plans with us. This Christmas will be an exciting time for us, as we will be back to Hong Kong for 2.5 weeks! The main purpose is attending the Baby Dedication of Elly in our home church. We are so excited to be able to dedicate our daughter with 6 other kids from our same cell-group members! We are also excited about being able to meet with some of you in Hong Kong! 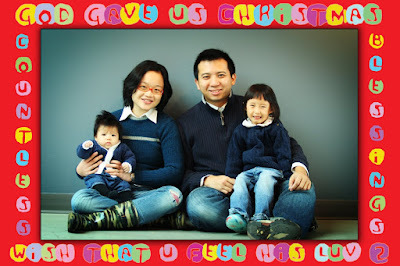 May you be blessed by our God's love and wish your Christmas will be a warm and cheerful one!